Gillian Polack is the author of many things fiction and non-fiction. She’s also a medieval historian, food history guru and a science fiction PHD, her second! I’m probably not doing her justice. 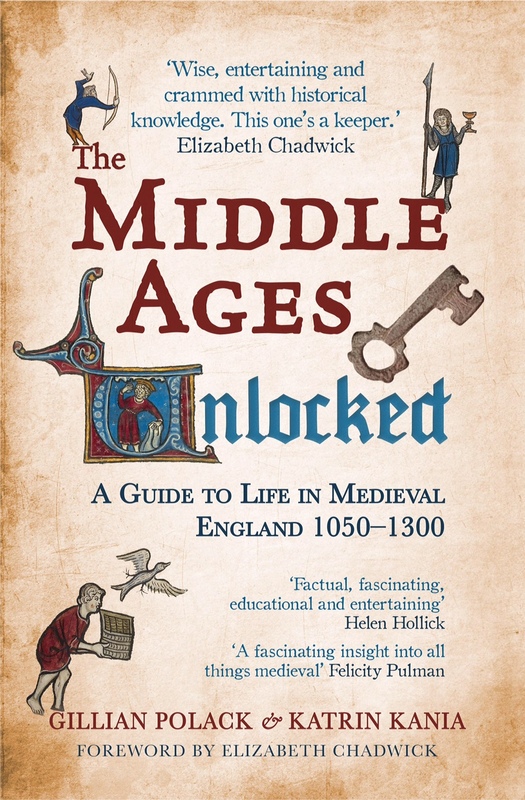 Anyway, I have Gillian here on my blog today to talk about her fab new book (Co-authored with Katrin Kania): The Middle Ages Unlocked- A guide to life in medieval England, 1050-1300. This book is a fab resource for writers who want to write about medieval societies and for lovers of history. How did you two authors find each other? In a pub! Seriously, we were introduced to each other by Shana Worthen at the big Medieval Congress in Leeds in 2011. It was an international conference, but it was one for Medievalists, and it always has at least one pub. For the record, I was drinking a rather nice English cider. Shana knew about the Beast and I asked her if she wanted to see it. I whipped out my trusty netbook and Katrin read over her shoulder and somehow ended up being drawn into being co-author! Since then, I have taken to carrying all my work with me, everywhere, just in case I meet someone who needs to share it. Did it take a long time to develop the scope of the book? It took years and years. Because writers and the general public said “We need this book” I had a good general concept about what kind of topic would be covered and that the approach needed to be easy to read but go into as much depth as was possible in a general work. We (the various people involved at different stages) played with several approaches and a wide range of subjects. Tamara Mazzei still has a timeline she developed for an earlier iteration, for instance, and I still have a list of plants and their uses. A couple of writer friends tested beta versions for their fiction and I could tell how effective different elements were by how they wrote and what further questions they need to ask. By the time Katrin came on board the topics were mostly settled but it covered both France and England. It focussed on England quite late, because it was a better fit for British publishers, but we refined approaches to the bitter end. 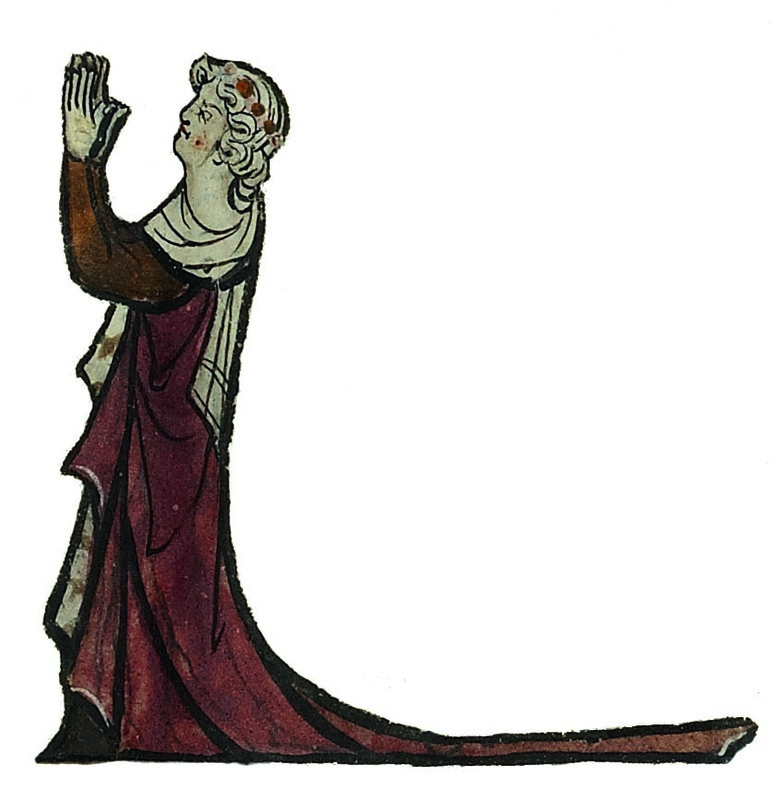 The Middle Ages Unlocked wasn’t easy, but it was most definitely worth the effort, as I’ve already seen it being read and used by those same people who asked for it, all those years ago. How long did it take from the concept to completion? About fifteen years, all up. I’m still surprised when I see it in bookshops, because it’s had the longest development and most work of any of my books. Given how prone I am to research, this is worrying. At 384 pages it looks to be quite an undertaking! Did you have to leave stuff out? We left out more than we put in. Several times the amount that went in, in fact. The perfect version (from my point of view) would have been enormous. We followed our publisher’s guidelines, however, for those guidelines were there with much good reason behind them, and we wrote the best possible work that was actually publishable. How did you go about finding a publisher? We approached publishers that we had contacts with and that were a really good fit for our project. One of them suggested Amberley, for they felt that Amberley was an even better fit than they were: if ever I meet that editor I will buy her a drink, for she was both generous and correct. I notice a lot of writers gave you cover quotes. Do you see the book as a resource for writers only? Did all that bad fantasy drive you to spend years of your life developing this book? It was first designed for writers, but it’s grown to be a volume that’s for the general public. And bad fantasy had nothing to do with it! I’ve taught history to writers for two decades and so it was quite natural for writers to say to me “Why don’t you pull together a book that presents this to a wider audience?” This means the demand came from writers who wanted more, not writers who were lazy about their world-building. I find this very reassuring. What was the favourite thing you did in this book? I was really happy to pull together what was known about dance. I’d been meaning to do this for myself and the book gave me an excuse. The hardest section as the one that dealt with all the bad things in society. It could have had a lot more detail, but neither Katrin nor I could deal with any more detail about people being hurt! I guess there are things we will never know about the past. How does that you make you feel as a historian? Perfectly normal. Historians are always aware we can’t know everything: it’s part of the job description. History is an interpretative discipline, not one where absolute knowledge is possible. Do you have other historical projects in the pipe line or is it fiction for you from now on? I’m nearly finished a book specifically about how writers use history in their fiction. it will be published next year. And I’m starting work on a novel set in the seventeenth century. I’ve already sifted through hundreds of primary sources (over 800) to sort out how I will deal with various aspects, but the real work on it will hopefully take place next year. I’m also doing work on other peoples’ writing: there’s an article by me in the next issue of Foundation, for example. In Australia, ask your local bookshop to get it in: since it’s only just been released here, most shops don’t know about it yet. Online, almost every shop stocks it. In the UK, try Blackwell’s or ask your local bookshop to get The Middle Ages Unlocked in. In the US, either online shops or wait until October, for it won’t be released in the US until then. If you can’t wait, online shops in the UK will sell it to you. Easiest way is to buy from Book Depository Link here. Thank you for visiting the blog today, Gillian. Mazel Tov! Reblogged this on Station Stories. This sounds like a much needed book.